Top 10 lists require higher level thinking, as students must evaluate different options, weighing one against another to decide not only what to include but also the order of the items they do choose. You can also extend the activity by asking students to justify their top choices. A Top 10 Facts About… activity could apply to many different subjects – animals, countries, people, etc. It might also make a nice add-on activity for a report on the subject. If you are reading a book with many characters, such as The Hunger Games, you could have students list their 10 favorite characters. If you are studying inventors, why not ask students to list what they consider to be the 10 most important inventions ever? How about using top 10 lists at the end of the year? 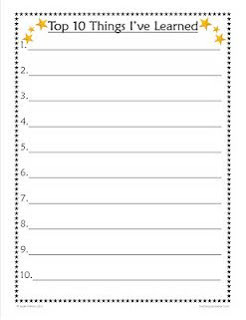 Addie Williams of Teacher Talk has a terrific Top Ten freebie for the end of the year that you can download on her excellent blog. Create a Top 10 Center. Change the topic each week. Use as bell work, for fast finishers, or as enrichment homework. Have your students work in pairs or small groups to complete their lists. Have students create their lists poster style, decorating with a colorful headline, border, and pictures. Have students create their lists on the computer, using fun fonts, borders, and all the other bells and whistles. Record your students reading their lists David Letterman-style. 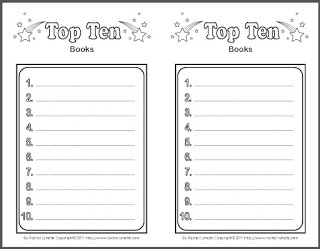 Create Top 10 Books and have students create a different list in their books each week, perhaps as bell work. This could also be good handwriting practice. Create a Top 10 Class book in which each student contributes one page. This could be a “Best of” book in which each student chooses his or her favorite page to include, or you could choose one topic and include everyone’s list on that topic. Discuss, discuss, discuss! 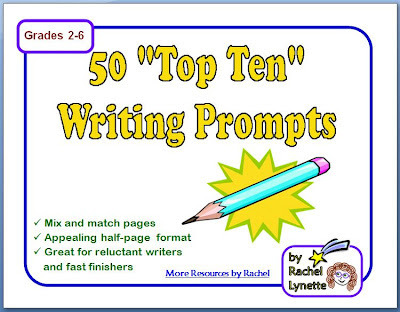 Top 10 lists make terrific discussion prompts. Ask students to explain their choices. You could also extend the activity by having them write about their top choices. 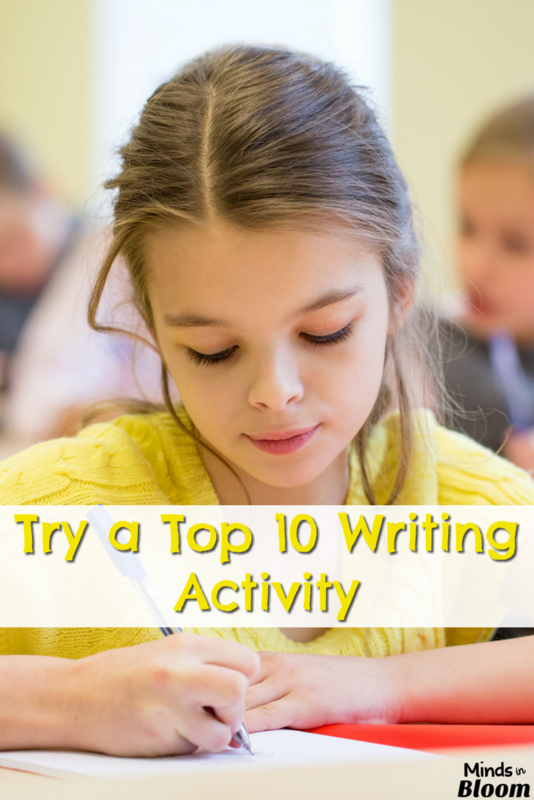 Even reluctant writers enjoy creating top 10 lists. Sometimes it is those reluctant writers who come up with the most interesting and creative lists! It is easy to create top 10 lists yourself. All you need is an idea and a piece of paper. 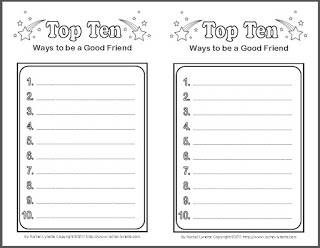 However, if you would like a set of 50 Ready-to-Use Top 10 Lists, you can find them here. Thanks Rachel! I love the post. Excellent ideas! Thanks so much!